Deputy Lieutenants are appointed by the Lord-Lieutenant subject to HM The Queen not disapproving of the granting of their commission. Once appointed they are holders of public office. The number of Deputy Lieutenants in the county is calculated on the basis of population. There are at present 51 Deputy Lieutenants in Essex. Deputy Lieutenants retire at the age of 75, although they still retain their title. – Deputise for the Lord-Lieutenant or Vice-Lord-Lieutenant when necessary. 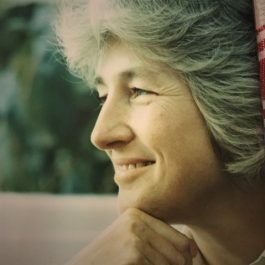 Julia’s career has been in the art world and she produced a catalogue of oil paintings in public ownership in Essex in 2006; she is now recording the county’s publicly owned sculpture. From 2007 – 2009 she was Chairman of the Friends of Essex Churches Trust and was High Sheriff of Essex in 2013. She has served on the Chelmsford Cathedral Council and as an assessor for the Queen’s Award for Voluntary Service. She is currently a governor of Felsted School. Professor Michael Alder was educated at Newcastle University and Hull University. Previously Vice Principal at Shuttleworth College he went on to be Principal of Writtle College. On retirement from Writtle he became Executive Director of the Federation of Essex Colleges. 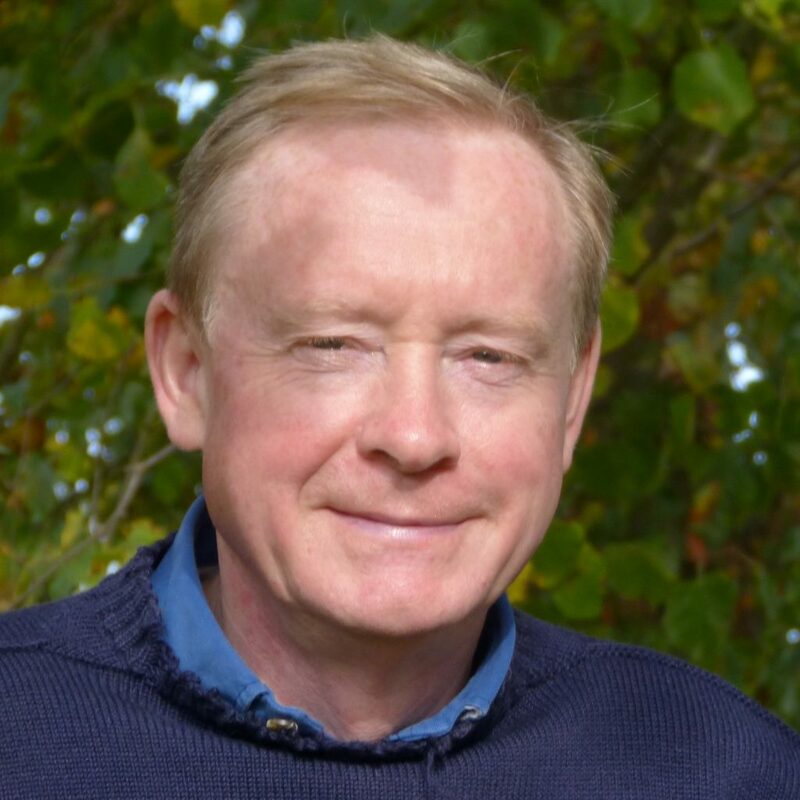 He is a Fellow of the Royal Agricultural Society and Emeritus Professor of Rural Environment (University of Essex). Previously Chairman of Governors at New Hall School, he is involved with a number of trusts and charities and is currently a director of the Shuttleworth Trust and Chair of its Education and Research Committee. He is currently helping two charities with compliance and property matters. Although born in Norfolk, Jackie has spent all her adult life in Essex. After graduation from St Andrews University, she worked initially for British Telecom, and also joined the local Territorial Army Royal Signals unit. Forty two years of service in the army reserve included command of 36 Signal Regiment in 1998-2000, mobilisation to Baghdad in 2006 as a liaison officer with the US Embassy, and tours as a TA staff officer with Royal Signals and Military Intelligence. She is President of the East London branch of the Royal Signals Association, and is on the Essex ABF committee. Since 2000, she has been the Deputy Chief Executive of East Anglia Reserve Forces and Cadets Association, with particular responsibility for cadets and youth. Living in Rivenhall End, she was a primary school governor for sixteen years and organises the Silver End Burns Supper. Her principal hobby is piping with Essex Caledonian Pipe Band plus organising Colchester’s annual piping contest. Recently retired, she looks forward to having more time for family and gardening. Born and brought up in Essex, after a 32 year public service career in defence and security, Nick joined an investment bank becoming the firm’s global head of security. In 2012 he was elected the first Police and Crime Commissioner for Essex. He chairs a policing research institute at Anglia Ruskin University and since 2011 has been a non-executive director of a number of local and national public sector bodies. 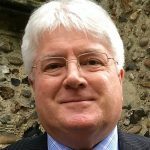 In November 2018 Nick was appointed Chair of Trustees of the Essex Community Foundation. Stephen Bennett was until 2016 the Secretary and Clerk at Anglia Ruskin University. 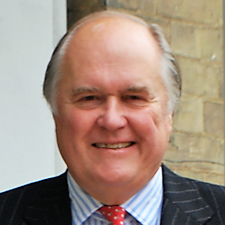 He is a past UK President of The Institute of Chartered Secretaries and Administrators, was a member of the Law Society Governance Review Group, Secretary of the Association of Universities in the East Of England and is a Freeman of the City of London. He has been a school and college governor, a director of Essex Business Link, a co-opted member of the Essex County Council Education Committee, a charity trustee and local government remuneration advisor. He is married to Nicola and they live in Chelmsford. 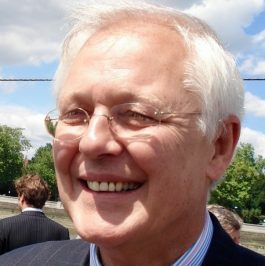 James Bettley is an architectural historian, whose publications include the Pevsner Architectural Guide to Essex (2007). He has contributed to successive volumes of the Victoria County History of Essex, and is a trustee of the Essex Heritage Trust. 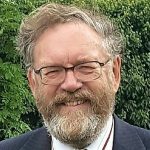 He was chairman of the Friends of Essex Churches Trust from 2012 to 2017, is a member and former chairman of the Chelmsford Diocesan Advisory Committee for the Care of Churches, and serves on Chelmsford Cathedral Fabric Advisory Committee. He has been a Justice of the Peace since 1996. Originally from Kent, he has lived in Great Totham since 1991 with his wife Lucy and their three children. Working for The Army, in various guises, has been a large part of Mick’s career to date; 10 years in the Regular Army, 15 in the TA, 4 as the Senior Education Officer at the Military Corrective Training Centre (‘The Glasshouse’) in Colchester and 3 more as Commandant of Essex ACF. He was awarded the OBE on behalf of the successes of the team he was proud to lead at MCTC. He has also worked in a number of civilian training and HR appointments. He is an active Trustee of the Essex Youth Trust. Mick is married to Alison; a Director of Anglia Tours, and they have 2 grown up children – Tom and Holly. 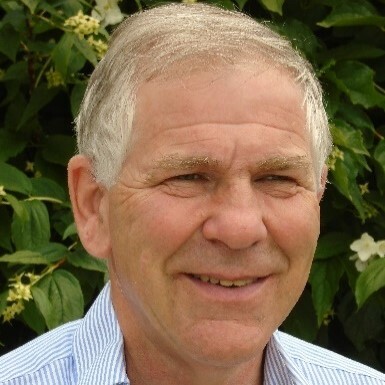 Simon Brice is an arable farmer with aggregate and golf businesses. He also produces cricket bat willow and willow for ceremonial use. He is a trustee of the RCCE and Governor of Writtle University College. 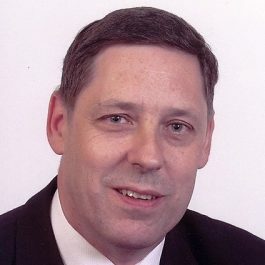 He is a member of the LEP and the Essex CLA Committee. 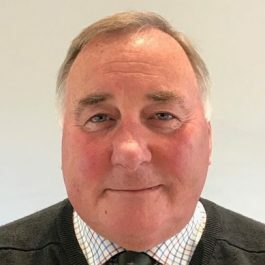 His past commitments include County Chairman of Essex NFU, County and Regional Chairman of CLA, Chairman of Greater Essex Business Board, East Anglian Essex Flood Defence Committee and a member of the Essex Rural Commission Panel set up by Essex County Council. His interests include archaeology, especially Paleolithic, conservation and rugby. He is married to Emma with a son Oliver, and a daughter, Lucy. Christopher Butler is an arable farmer and businessman in north Essex involved locally as chairman of the village hall, parish councillor and trustee of the rest homes in Halstead. He is a keen wildlife conservationist nationally and on the farm. 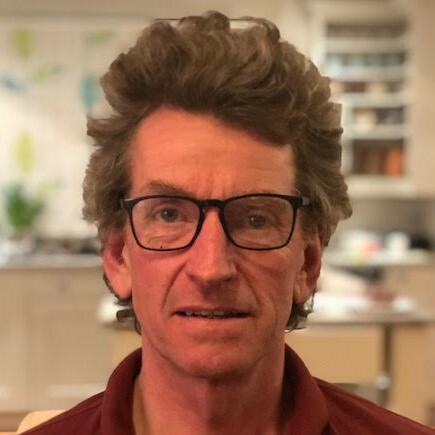 He is Essex chairman of CFE (Campaign for the Farmed Environment) and national chairman of FWAG (Farming and Wildlife Advisory Group) with sixty advisors going onto farms to advise on wildlife habitat creation and restoration. Michael Chapman is a solicitor and lives near Epping. 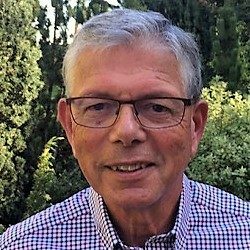 He is a Verderer of Epping Forest, Co-Chairman of Uttlesford Leisure (Founding Trustee), Clerk to Epping and Theydon joint charities, Company Secretary to the Theydon Trust, a member of Dunmow Rotary Club and a supporter of Garden and Labyrinth part of the Quiet Garden Trust. Formerly he was a notary public, a Dunmow Flitch judge, Chairman West Essex Health Authority, Clerk to the Commissioners for Taxes for the divisions from Saffron Walden to Stratford East London, Chairman of St Clare Hospice, a Bishop of Chelmsford visitor and a member of the initial board of Harlow College. He is a widower with two children and four grandchildren. Nicholas Charrington and his family live and work at Layer Marney Tower, a Tudor building that is both a visitor attraction and wedding and corporate events venue. Essex born and bred, Nicholas is involved with the Rural Community Council of Essex and the Essex Rural Fund, along with several other organisations. He is a great fan of the county of Essex and its inhabitants, loving the diversity and beauty of both place and person. 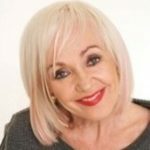 Lynda has spent many years running her family’s successful quarry and property business. She is Vice-Chairman of the Haven Gateway Partnership representing small business. 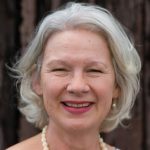 Lynda is also a Liveryman of the Worshipful Company of Paviors and a Trustee and Director of a number of local Essex charities and trusts. Peter Christian and his wife run a specialist structural repair company within the construction industry. Peter completed service with Essex ACF as Commandant before becoming Colonel Cadets with 7 Brigade & HQ East in Nottingham, with responsibility for all cadets within East Midlands and East Anglia. He serves on a number of committees related to the military reserve and cadets and also the ABF committee. He is Honorary Colonel to Essex ACF and a support DL to both Essex ACF and Chelmsford Sea Cadets. He remains keenly interested in the development of young people. Peter also volunteers as a Coastguard Rescue Officer with a local Coastguard Rescue Team. Roy’s commands in the Royal Navy included the aircraft carrier HMS Invincible and the Britannia Royal Naval College, Dartmouth. Since 2000 he has been Director of the National Maritime Museum, Greenwich and Auckland War Memorial Museum, New Zealand. He is currently Chair of Chelmsford Cultural Development Trust. He was made CBE in 2007 ‘for services to museums’. Roy and his wife Sarah (an Anglican Priest) live in Tollesbury, from where they sail. They have three adult children and two granddaughters. Former Deputy Chief Constable of Essex Police, Charles retired in 2006. For over ten years he led the ‘Youth Justice Agenda’ for the Police Service nationally. 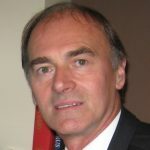 In 2001, Charles was seconded to the Youth Justice Board (YJB) for England and Wales as the First Director of Prevention, Board Member of the YJB 2007 – 2013. 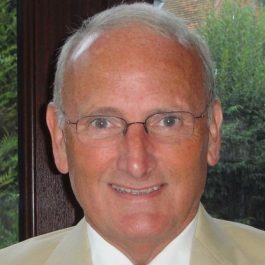 Charles was a founder Trustee of Essex Community Foundation (ECF) (1996), Chair 2003 – 2013 and Board Member until 2015, now Vice President. He was a Board Member of UK Community Foundations 2009 – 2016. Since retirement Charles has undertaken consultancy work for youth justice and fund development for Community Foundations. 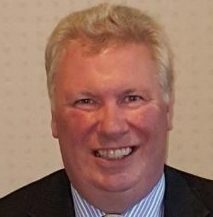 He has been a member of the Chelmsford Diocese Safeguarding Panel from 2006 to the present and was Chair of the Diocese in Europe Safeguarding Panel 2012 to 2017. He has chaired the Essex Queen’s Award for Voluntary Services Panel and the Essex Police Museum Trust since 2010. 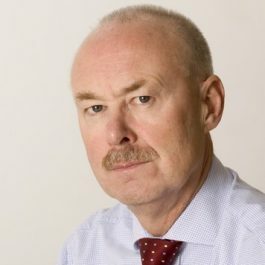 Currently he is Strategic Adviser to IntrOrbis Ltd, Specialist Investigation company. Charles was awarded the Queen’s Police Medal in 2001, the OBE in 2007 and in 2008 was made Deputy Lieutenant. He is married to Sue and they have two daughters and four grandchildren. Adrian Corder-Birch was appointed a Deputy Lieutenant in 2013. He was in the legal profession for 36 years, until semi-retirement, followed by ten years in local government. 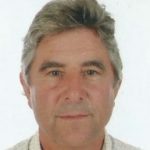 He is immediate past president of the Essex Society for Archaeology and History, chairman of the Editorial Board of Essex Journal, Patron of Halstead and District Local History Society and Vice Chairman of Essex Industrial Archaeology Group. He has been clerk of a Parish Council since 1971 and is clerk to the trustees of the Courtauld Homes of Rest, an almshouse charity. Susie Cornell was awarded an MBE in 2007. 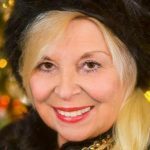 She is the founder of the “Pride of Essex Awards” recognising charities, communities, adults and children for their achievements. She is a natural health consultant helping people worldwide through bio resonance consultation. She has lectured at the University of Surrey, received a lifetime achievement award for integrating disability into the world of fitness. 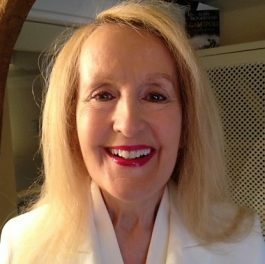 She is an author and has also produced two exercise videos. Claire Cottrell was born and brought up on a farm near Colchester and has lived there nearly all her life. She is interested in the welfare of underprivileged children and in addition takes a deep interest in Essex churches particular those that need funding. She is a Parish Councillor and Parochial Church Council member and has recently retired from being a church warden after 35 years. Her interests are her garden, cooking and conserving the countryside. She is lucky to have a lot of woodland which she enjoys making sure is managed and maintained. Sarah Courage has lived most of her life in Essex. She volunteered as a driver for Brentwood Meals on Wheels and for Brentwood Community Transport for many years. Sarah was elected as a Brentwood Borough Councillor in 2002, taking a keen interest in recycling and the environment. She was High Sheriff in 2008/2009. Having raised funds for PARC, she, with Ian Twinley, set up The Essex Dog Day in 2011. This continues to be a very successful fundraiser for many Essex Charities. She was a governor at Brentwood School for 5 years and from 2010 a Witness Service Volunteer at Basildon Crown Court. A Deputy Lieutenant since 2016, Dave is co-founder of Essex-based industrial supplies company, Directa (UK) Ltd. He has occupied the chair of the Pride of Essex Awards since 2011. Having written for the entertainment industry he regularly appears as an after dinner speaker, usually billed as ex Vice President of Tottenham Hotspur and Russ Abbots’ failed scriptwriter! He has self-published books, the proceeds of which raise funds for Witham children’s charity, Brainwave. He has also written illustrated books for children, under the pen name ‘Ferdie Yeatsy’. Dave was awarded the British Empire Medal for his charitable work in January 2018. 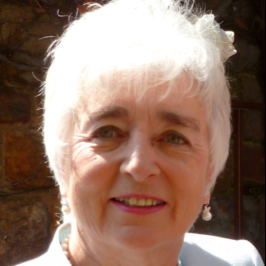 Celia Edey has spent 40 years in governance roles in the charitable, Higher Education and public sectors. 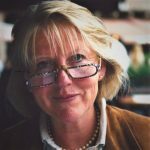 She has held senior posts in the British Lung Foundation, the Magistracy in Essex and its governing body both regionally and nationally, the Chelmsford Prison Visitor Centre, the University of Essex and currently the University of Suffolk. She won a Public Servant of the Year award in 2003 and was appointed O.B.E. in New Year’s Honours 2015. Her hobbies include golf, singing and grandchildren! 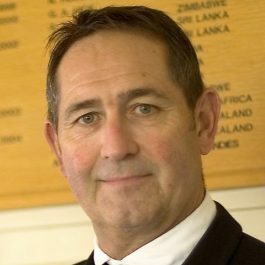 Graham Gooch was awarded the OBE for his services to cricket in 1991. Graham made the Essex 2nd XI in 1968 and in 1973 he made his first-class debut. In 1975 he played for the MCC against the touring Australians. Graham led the England side 34 times. Currently he is England’s leading test run maker with a total of 8,900 runs and 20 centuries. In 1996 Graham was appointed an England selector and held that position for four seasons. In 2002 he was made Essex’s Head Coach but as from 2005 he accepted a wider role within the club. This included specialist batting coaching and acting as the ambassador for the club’s future commercial development. He has also started the ‘Graham Gooch Scholarship Fund’ an initiative to raise monies to send some of Essex’s best young professionals on overseas scholarships and he now sponsors the Essex Cricket Academy. More recently he has been the England batting coach, starting his role on a part-time basis in 2009 and moving into a full-time position from 2012 to 2014. Born in York, John graduated from Oxford University in Zoology where he specialised in entomology and then worked for the Natural Environment Research Council on insect population studies in Mid Wales. 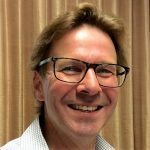 John spent 2 years in Africa on biological control of insect pests before returning to the UK and joining the Field Studies Council in North Wales as Deputy Warden of the Field Centre in Betws-y-coed where he taught field biology for 10 years. So Essex was not a county that John knew well when he moved to join Essex Wildlife Trust in 1987. However, he liked it, so he stayed with the Trust for 28 years as its Chief Executive helping to build this charity up from 4 staff to 130 staff with 87 nature reserves, 11 Visitor Centres and one of the largest Wildlife Trusts in the UK with over 35,000 members. 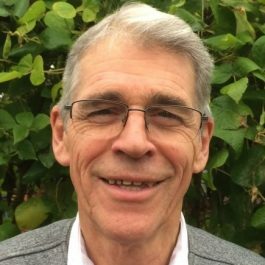 John is proud to have been awarded an MBE for his services to the environment and an Honorary Fellowship of the University of Essex as well as being a Deputy Lieutenant. He retired to Lawford near Manningtree with his wife Caroline where they are building house to sustainable principles which is planned to be energy neutral and water neutral. John and Caroline are keen dancers: they teach dance and hold many fundraising dances. They have two children, Tom and Rosie, and two grandchildren. All live in their adopted county of Essex. Simon Hall was educated at Ampleforth College and Cambridge. He was a partner with the law firm Freshfields Bruckhaus Deringer from 1985 to 2014 and Head of Freshfields Finance Practice for many years. In his last four years with the firm he led their global corporate responsibility programmes, which focussed on social exclusion. 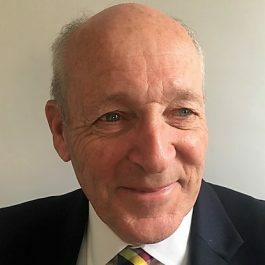 He is a trustee of a number of charities including Mistley Maltings Trust; Brentwood Cathedral Choral Trust; Colchester and North East Essex Building Preservation Trust; the homeless charity Caritas Anchor House; the Council of the University of Essex, and Essex Community Foundation. He was awarded an MBE in 2006 for services to charity and education. 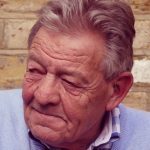 Widowed with four children and seven grandchildren he lives in Great Tey and is passionate about fishing and all aspects of country life. 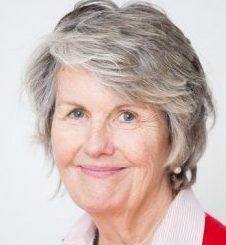 Bonnie Hill, married with two sons, was appointed a Deputy Lieutenant in 2007. In June 2012 she was awarded an MBE. 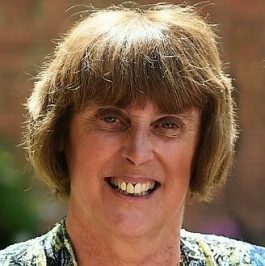 She is currently Vice President of Essex North East Girlguiding, a Justice of the Peace, Member of Court at The University of Essex, President of Weeley & Little Clacton Royal British Legion and Secretary to the Parochial Church Council of St. Mary’s Church Wivenhoe. 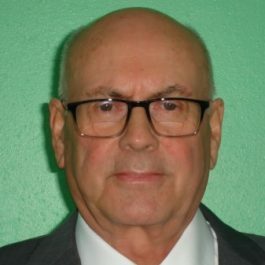 David Hurst is the past Chair of trustees of Southend Blind Welfare Organisation (Southend in Sight) and a grants and committee member of Southend Community Fund. He is a former member of Essex Community Foundation‘s programmes committee and was Chairman of the Southend 41 Club. He founded Rochford Rivercare in 2004, to keep the River Roach litter free. He was the President of Rochford Hundred Agricultural Society. 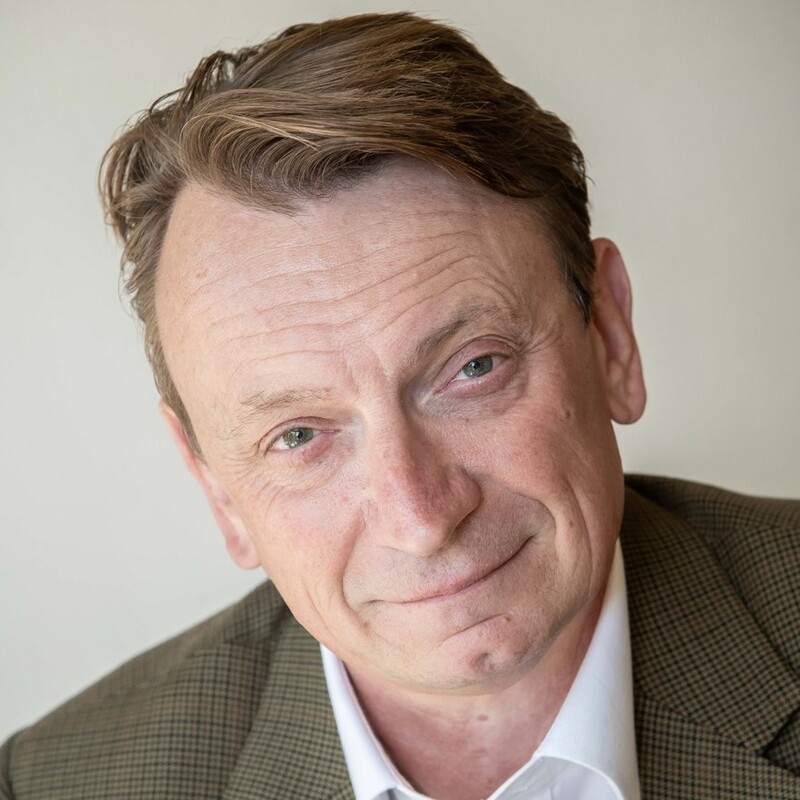 He was the Chairman of the ORMC (Online Recruitment Marketing Council), a Board Member of the DCF (Digital Content Forum) representing UK online recruiters’ interests to the UK government and Chairman of a British Standards Institute committee creating a British Standard in Online Recruiting. David has been married to Jane since 1984 and has two daughters and two border collies. Catherine Hutley has spent most of her life in Essex. She is the daughter of a farmer from Saffron Walden, married to another and proud of all things Essex. 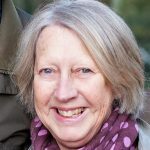 She is past Chairman and Treasurer of the Friends of Essex Churches Events Committee, a trustee of Abbeyfield (Braintree, Bocking & Felsted) and Past President of the Essex Agricultural Society. Her hobbies include travel, horse racing, skiing, tennis, cycling, fine arts and theatre but most importantly family and friends. Maureen Larkin is an Honorary Alderman of Basildon having served as Mayor for six years. She has played a leading role in her community for more than 40 years. She has served as a magistrate for 25 years and is active in fundraising for local charities including Age Matters, Changing Pathways (formerly Basildon Women’s Aid) and St Lukes Hospice. She was Chairman of Essex Women’s Cricket for eight of its formative years. She was awarded the British Empire Medal in 2012 and appointed a Deputy Lieutenant in 2015. Charles Latham is Senior Partner of Tolhurst Fisher Solicitors based in Southend and Hatfield Peverel. Charles served as a member of Southend Council from 1990 until 2005, as Leader of the Council for much of that time. He is a past Mayor of Southend-on-Sea and an Honorary Alderman of the Borough. Charles lives in South Benfleet with his wife Clare and two children. His interests include travel and fine wine. Simon Lyster was born in Stock, where he still lives, on the edge of Hanningfield reservoir. He grew up with a love of nature and after qualifying as a lawyer he switched from City law to wildlife law. He wrote the textbook “International Wildlife Law” and has worked in wildlife conservation for more than 30 years – initially with WWF and then as Director-General of the Wildlife Trusts. 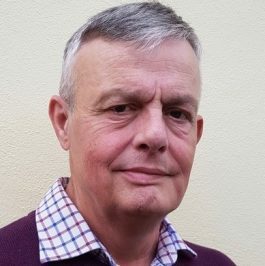 He is now on numerous Boards including Natural England, Northumbrian/Essex and Suffolk Water, Rural Community Council of Essex and Conservation International (UK). He shares a passion for nature with his wife Sandra, and they have two children. He is equally passionate about sport and the wonders of Essex. Peter Mamelok was born in Woodford and spent early years in Ilford. After attending Brentwood School, Peter trained in as a chartered accountant, and had a career with KPMG, latterly as a partner for 19 years. Peter now lives in Ingatestone, with his wife Irene, and has three children. On retirement in 1999, Peter became involved in charity work, as a trustee of King George’s Fund for Sailors, and also a small local charity Essex Heritage Trust, with which he is still actively involved. Peter served as a parish councillor for a number of years, and also as a trustee of Brentwood Citizens Advice. 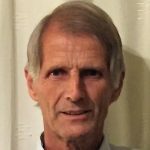 Peter’s interests include playing bridge and golf, travelling and sailing with friends. Rupert Marks was brought up and lived in Harlow until 1992 when he moved to Great Totham. His family business, Trebor, was based in Woodford Green and had one of its many factories in Colchester. Rupert has worked and still does work in the sales and manufacture of soft drinks. He set up The Pioneer Sailing Trust in Brightlingsea 20 years ago, loves Essex and lives in Great Totham with his wife Leonie and four daughters. Peter Martin is a chartered accountant. He worked as an investment analyst with Rowe and Pitman, Stockbrokers and later as Managing Director of Martin the Newsagent PLC. He was a director of a number of private companies and non-executive director of Veolia Water East. 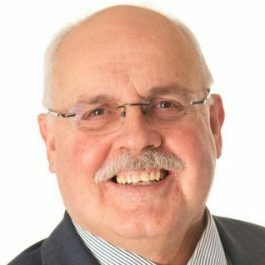 He was a Member of Essex County Council – Cabinet Member for a number of portfolios and then Leader of the Council, director of the East of England Development Agency, a Member of the East of England Regional Assembly and President of the Friends of Essex Churches Trust. 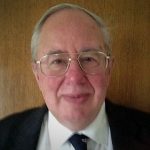 Currently he serves as Chairman of Essex Cares Ltd., a church warden, Trustee of the Essex Community Foundation, the Rural Community Council of Essex, The Wilderness Foundation UK, and Chairman of the Stow Maries Great War Aerodrome. Glenn Mayes has lived in the County for all his life. He is married with two sons. He was a career police officer with Essex Police combined with service with the Essex Wing of the Air Training Corps, retiring as Wing Commander in Dec 2013. He was appointed a Deputy Lieutenant in July 2014. He is a professional toastmaster and Independent Celebrant, director of training for a national toastmaster training organisation and an executive member of the Toastmasters General Council. He is honorary President of 295 (Witham & Rivenhall) Sqn Air Cadets; a member of both RAFA and RBL, and a keen Beekeeper: currently Chairman of Maldon Beekeepers. Jonny Minter lives and farms in the Dedham Vale and is married to Margaret (“Miff”). His two children have long fled the nest and live and work in London. 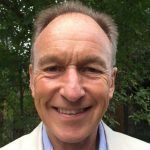 After a 30-year career in the City as a fund manager, Jonny took early retirement in 2001 and has since kept himself occupied with a wide range of charitable and voluntary activities and retired as Chairman of the Trustee Board of Essex Community Foundation in November 2018. 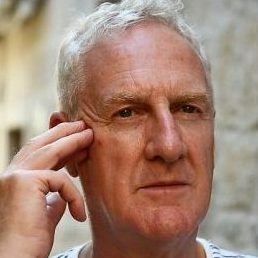 Dave Monk (born David Michael Travis) has broadcast for the BBC on both radio and television for over 30 years. 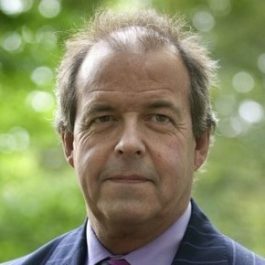 He is best known for his weekday programmes on BBC Essex questioning local and national politicians as well as senior figures in commerce and industry. His particular interests are Mental Health, Men’s Health and Equality of Opportunity. Before entering the media, Dave was a Solicitor, Law Lecturer and entrepreneur. He is now closely involved with many Essex based Charities. On leaving Cambridge in 1966, David joined Lord Rayleigh’s and Strutt & Parker (Farms) Ltd and became a director in 1970. In 1987 he was appointed Chairman of Strutt & Parker (Farms), a post he held until 2009. David has also been Chairman and President of the Essex Agricultural Society and President of the Holstein Friesian Society. Rosemary Padfield lives and farms in West Essex. 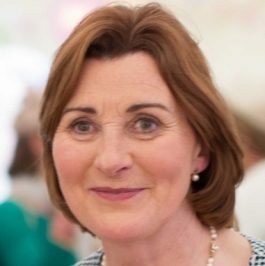 She is a member of the National Farmers Union, Essex Agricultural Society and the Essex Schools Food & Farming Day –a proactive show promoting how food gets from field to plate to 3000 Key Stage Two children. She has been a magistrate since 1994 and works alongside local police and farmers on rural crime issues. She is also a Parish councillor and Churchwarden. Her nine grandchildren fill any spare moments. Stuart Rawlins is a former newspaper editor and editorial director and is involved with a number of community and charity groups. Currently he chairs three groups, including Essex Crimestoppers. He is a member of the national Advisory Board of the Crimestoppers charity. He has previously chaired business groups within Essex. He was appointed a DL in 2004. Dennis was appointed a Deputy Lieutenant in 2006. He is married to Diane and has a son Peter. For 30 years he was a serving Police Officer with Essex Police becoming a senior officer. Dennis is well known for undertaking difficult expeditions for charity to remote parts of the world and has raised substantial monies for Essex charities and deserving individuals. Lorna Rolfe was appointed a Justice of the Peace in 1986. She is a past Chairman of the Bench and of the Essex Bench Chairman’s Forum. She served on the Lord Chancellor’s Advisory Committee. 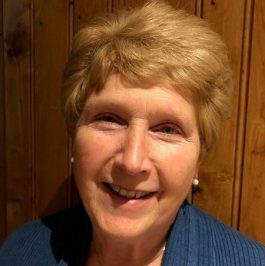 As Chairman of her local Red Cross and Uttlesford Committee member, she has been part of the County Emergency Response Team. Her love of music has resulted in current Ambassadorial roles for Saffron Hall and Saffron Walden Choral Society. She is Essex Ambassador for Schoolreaders and a Patron of Open Road. Lorna lives in Great Chesterford with her husband Howard. They have three grown up children and three grandchildren. Ann Rouse was born in Burnham-on-Crouch so regards herself as a true Essex girl. For 40 years she has lived in Wrabness, near Manningtree. She is married to Gerald and has 3 daughters and 8 grandchildren. Ann’s working life was chiefly in social housing and she was a magistrate for many years. She retains a strong interest in social issues. She is involved in village activities including the community shop and the parish church. Her other interests are current affairs, art, literature, travel and young people. Lady Rosemary Ruggles-Brise is Scottish, born, bred and educated, before working with the Diplomatic Service in London, Europe and Mexico. She is married and the full-time mother of 5 children and 10 grandchildren. 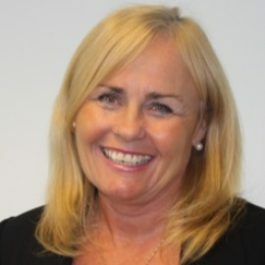 She has many years experience of voluntary work including school governorship, Chair of HMP Chelmsford Independent Monitoring Board and Chair of local community projects. She was appointed DL in 2008 and High Sheriff of Essex in 2011/12. Currently she is Honorary President of YMCA Essex, Patron of Essex Retired Police Dogs Fund and Patron of Home-Start Essex. Lady Rosemary is committed to serving the County of Essex with its diversity of peoples and pastimes, buildings and beaches, commerce and communities, faiths and culture. Janie is married with one son and two grandchildren and is a partner in the family farming business. 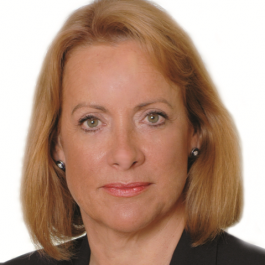 She has worked with many organisations and charities as well as having sat as a JP on the Magistrates’ Court Committee, Courts Board of Essex, Area Courts Board and Essex Police Authority. 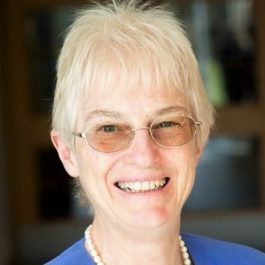 For many years she was Chair of the St John Council of Essex and other national St John Panels and is a member of the Court of the University of Essex. Janie initiated the Guardians of the Ipswich and Brentwood Foyers to support young people and to integrate the Foyer into business and the community. She was appointed as a DL in 2004. 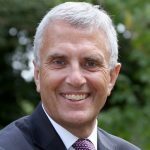 Resident in Chelmsford since 1980, John was a managing director at Lloyds TSB until 2005. He has had a wide range of non-executive roles and has been chair or president of numerous charities. 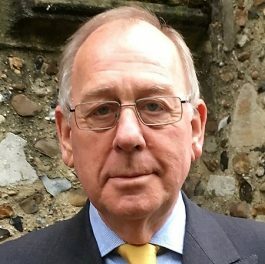 He is currently Finance Chair of the Church of England Archbishops’ Council, a Cabinet member at Essex County Council as well as a governor at Anglia Ruskin University. John was awarded the MBE in 1999, the OBE in 2006 and the CBE in 2013 for services to community, charity and business respectively. John, who is blind, is married with three children and five grandchildren. Nigel Spencer MBE DL Cert. Ed. (Oxon) Dip. Ed. 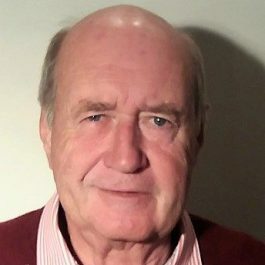 Nigel Spencer was born in Harrow and educated at Culham College, Oxford. He taught in a number of Essex primary schools and was the youngest Deputy Head in the County. He left the profession after 41 years of service. Nigel is married with 7 children & 3 grandchildren. Nigel has organised many education initiatives, especially with conservation and historical themes. He founded Ramsey/Dovercourt Crusaders, and was Chair of National Crusaders Council for 7 years. 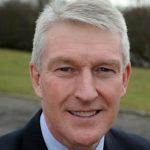 Nigel was awarded an MBE in 2015 for Services to Education. He became a Deputy Lieutenant in June 2017. Nigel currently chairs the Harwich Crime Prevention Panel, the Harwich Primary Schools Sports Association, is an Honorary Life Member of Dovercourt Cricket Club and Vice Chairman of the Culham College Society. His interests include being a founder member of the I.O.W Steam Railway, Patron of the Colne Valley Railway, youth work, Anglican Church activities, community involvement often linked to DL duties, and gardening! Martin is President and Conservation Officer of the Monumental Brass Society. He is a Trustee and Director of the Rural Community Council of Essex and the Stow Maries Great War Aerodrome. He is also Vice-Chairman and Hon. Secretary of the Friends of Essex Churches Trust; a Vice-President of the Essex Society for Archaeology and History; and a former Chairman of the Victoria County History of Essex Trust. Martin is Churchwarden of the small Essex church dedicated to St. Gregory and St. George at Pentlow. Colonel Thomas was appointed a Deputy Lieutenant in 2001. By day, Charles Thomas is the Corporate Risk & Business Continuity Manager for Essex County Fire & Rescue Service. Charles was born in St. John’s Hospital in Chelmsford. Other than his posting to Germany and then Belfast, Charles has lived in Essex all his life. Colonel Thomas joined the Territorial Army in 1975. Commissioned in 1977, he spent most of 1979 with the Regular Army. He returned to his TA Battalion, serving until 1991 in a number of appointments, then as a Training Officer in a Brigade HQ. In 1993 he was promoted to command the 6th Battalion, The Royal Anglian Regiment. Between 1996 and 2001, he was Commandant of the Essex Army Cadet Force. He was elected Chairman of the Essex Forum, Reserve Forces & Cadets Association in 2002. He is also Chairman of the Regimental Chapel Committee and was appointed County Colonel (Regimental Representative) for Essex in 2015. Ian Twinley spent the first half of his career working for Ford Motor Company in the UK, Germany and Detroit. In 2002 he joined the multi franchise Dealer John Grose as Chairman of the Group. 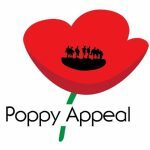 Ian is the voluntary Chairman of the East Anglia Reserve Forces & Cadets Association. He travelled to Afghanistan in 2008 and spent time with serving reservists in Kandahar and Camp Bastion. 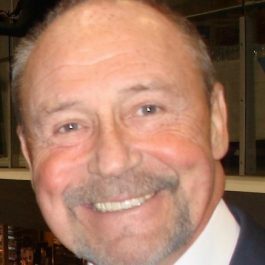 Ian is a Patron of the Helen Rollason Cancer Charity and active in many other fundraising and community initiatives. He and his wife Alison live in Hatfield Peverel. Dr Margaret Wilson is CEO, headteacher and executive head of two large 11-18 schools in Essex and moved The King John School to outstanding. She is now also CEO of the newly formed and growing Zenith Multi Academy Trust comprising of two secondary schools – The King John School, The James Hornsby School and one primary school – Laindon Park Primary School and Nursery. She has a strong track record in supporting schools in challenging circumstances and was an adviser to the DfE’s academies division seconded for 2 days a week during a 3 year period. 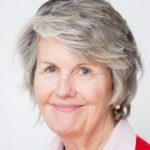 Margaret is a Trustee of the Academy Transformation Trust and Thrive Partnership Academy Trust and has been a non-executive director of Pearson Education Ltd for 8 years. She is also a board member of Anglia Ruskin University. 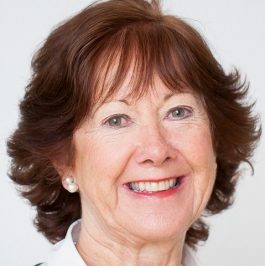 Margaret was awarded CBE in the 2019 New Years Honours List for her services to education.